I’m going to say a word or two, and I want you to think of the first word that comes to mind. Okay, ready? -Easy. White. Fluffy. Looks like it’s made of cotton candy. If you’re sitting here pondering what exactly cloud computing is or maybe even think that it is just a computer-shaped cloud, don’t worry, you’re not alone. According to a survey, 29% of people believe that "the cloud" has something to do with the weather. With all the talk about the cloud nowadays, it’s hard to sort out exactly what it is, or does. Simply put, cloud computing is just storing and accessing data and programs through the Internet. Have you ever used Gmail or Dropbox? If yes, then you’ve already used a cloud-based service. So, fear the ambiguous “cloud” no longer! 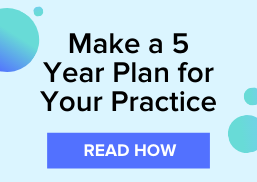 We’ve compiled the best of the best to easily explain what all the hype is about and most importantly, how cloud computing will affect optical practices. The next time someone brings up cloud computing, don’t shudder in fear. 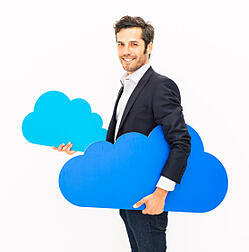 You’ll be a cloud expert –the envy of the office– with your newfound knowledge. So, rise up to the cloud and discover everything cloud computing has to offer you and your optical practice. You don't want to miss out on one of our favorite optician eBooks!